Sri Lanka - Heavy flooding, landslides and flash floods caused by the southwest monsoon have affected some 684,000 people in south and central Sri Lanka. The flooding, which is believed to be the worst in over a decade, has left at least 212 people dead and 79 missing. 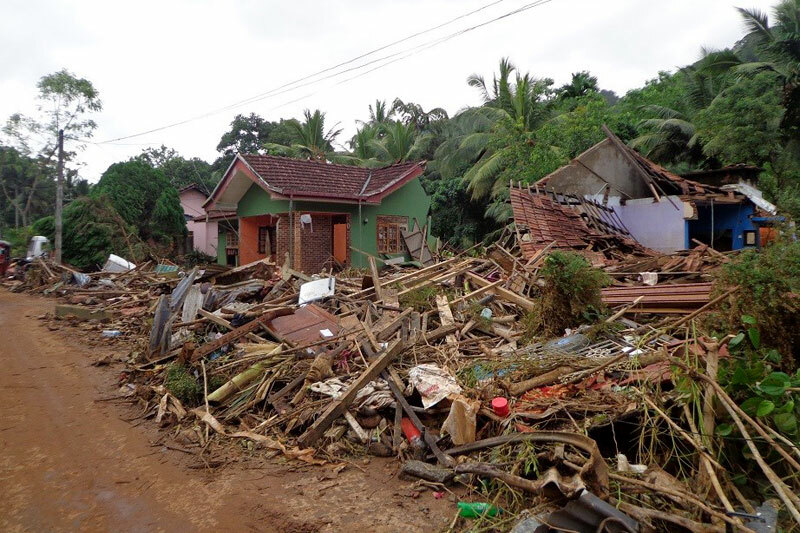 IOM initial rapid assessments conducted on 30-31 May in Matara, Kalutara, Rathnapura and Galle districts showed homes and villages swept away by the flood waters and mud slides. Sri Lanka’s Disaster Management Centre (DMC) estimates that over 2,500 houses were destroyed and nearly 15,900 damaged. These numbers could rise as data from damage assessments is compiled in the coming weeks. Nearly 22,000 people are still sheltering in over 200 over-crowded “safe sites,” including schools, temples and churches. In flood-affected areas people are expected to return to their homes as water levels recede. But in landslide-affected areas, people currently staying in evacuation centres or with relatives and friends are unlikely to be able to return to their homes in the short term. “There will likely be a need to track displacement, return, and site closure. People will need shelter and other non-food relief items (when they leave the sites) and we will need to ensure that aid is distributed at the location most useful and appropriate for each affected family,” said IOM Sri Lanka Chief of Mission Giuseppe Crocetti. IOM is already supporting the government and humanitarian agencies with displacement tracking maps generated from DMC updates. The UN Migration Agency plans to provide 3,700 shelter repair kits, 5,000 non-food relief item (NFI) kits and 250 temporary shelters, with funding sought from the United Nations Central Emergency Response Fund (CERF). The intervention will help an estimated 74,750 people. On Friday (2/6) the UN Humanitarian Country Team launched an Emergency Response Plan seeking USD 22.7 million to address the critical life-saving and protection needs of 374,000 people in seven districts, targeting four priority sectors, including shelter, food, health and water and sanitation. As part of the plan, IOM will co-lead the Emergency Shelter and NFI sector, which is appealing for USD 6.5 million for 8,000 shelter repair kits (in-kind or cash), 25,000 household NFI kits, 1,500 in situ transitional shelters, and 100 temporary shelter solutions. IOM’s sector response for the current emergency will require USD 3.5 million. With nearly USD 1.8 million in the process of being mobilized, IOM will need another USD 1.7 million to fully implement the response. To read IOM Sri Lanka’s latest situation report, please go here. To see the latest map of displacement caused by the floods, please go here.